Matt is joined by Ken (@klbardster) to discuss the George RR Martin novel A Clash of Kings (edited to be spoiler free for TV show viewers who havenâ? ?t read the book). This podcast covers 7 chapters. Catelyn II, Jon III, Theon II, Tyrion VI, Arya VI, Daenerys II , and Bran IV, plus your feedback. SPOILER ALERT! This podcast will spoil some aspects of the TV show that have not yet been revealed. If you are sticking to the TV show only, please do not listen to this podcast! (Fear not! A spoiler free version will be released in a few days!) Otherwise, Matt is joined by Ken (@klbardster) to discuss the George RR Martin novel A Clash of Kings. This podcast covers 7 chapters. Catelyn II, Jon III, Theon II, Tyrion VI, Arya VI, Daenerys II , and Bran IV, plus your feedback. Matt is joined by Ken (@klbardster), and John (@JohnMarius) to discuss George RR Martin’s A Clash of Kings (edited to be spoiler free for TV show viewers who haven’t read the book). This they cover 7 chapters – Tyrion III, Bran II, Tyrion IV, Sansa II, Arya IV, Tyrion V, and Bran III, PLUS the results of your votes for the Winterfell Awards. SPOILER ALERT! This podcast will spoil some aspects of the TV show that have not yet been revealed. If you are sticking to the TV show only, please do not listen to this podcast! (Fear not! A spoiler free version will be released in a few days!) Otherwise, Matt is joined by Ken (@klbardster) and John (@JohnMarius) to discuss George RR Martin’s A Clash of Kings. This podcast covers 7 chapters. Tyrion III, Bran II, Tyrion IV, Sansa II, Arya IV, Tyrion V, and Bran III, PLUS the results of the Winterfell Awards Polls. Matt is joined by Ken (@klbardster) and John (@JohnMarius) to discuss George RR Martin’s A Clash of Kings. This podcast covers 8 chapters. Catelyn I, Tyrion II, Arya III, Davos I, Theon I, Daenerys I, Jon II, and Arya IV. SPOILER ALERT! This podcast will spoil some aspects of the TV show that have not yet been revealed. If you are sticking to the TV show only, please do not listen to this podcast! (Fear not! A spoler free version will be released in a few days!) Otherwise, Matt is joined by Ken (@klbardster) and John (@JohnMarius) to discuss George RR Martin’s A Clash of Kings. This podcast covers 8 chapters. Catelyn I, Tyrion II, Arya III, Davos I, Theon I, Daenerys I, Jon II, and Arya IV. Matt is joined by Ken (@klbardster), John (@JohnMarius), and Donald (@DonaldJr) to discuss George RR Martin’s A Clash of Kings (edited to be spoiler free for TV show viewers who haven’t read the book). This podcast covers the first 7 chapters of the book: Prologue, Arya I, Sansa I, Tyrion I, Bran I, Arya II, and Jon I. SPOILER ALERT! This podcast will spoil some aspects of the TV show that have not yet been revealed. If you are sticking to the TV show only, please do not listen to this podcast! (Fear not! A spoler free version will be released in a few days!) Otherwise, Matt is joined by Ken (@klbardster), John (@JohnMarius), and Donald (@DonaldJr) to discuss George RR Martin’s A Clash of Kings. 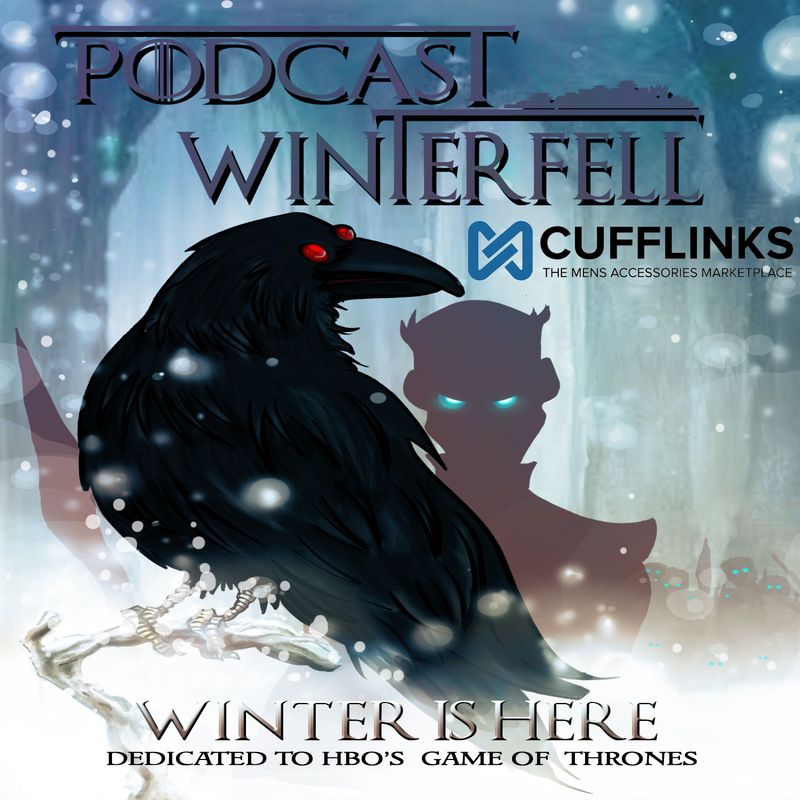 This podcast covers the first 7 chapters of the book: Prologue, Arya I, Sansa I, Tyrion I, Bran I, Arya II, and Jon I.
Steve (@FriggenItalian on Twitter) takes over Podcast Winterfell to offer a spoiler free History of Westeros in this special edition.